Etrex touch 25 is a color, capacitive touchscreen handheld with extra built-in memory to hold more maps. 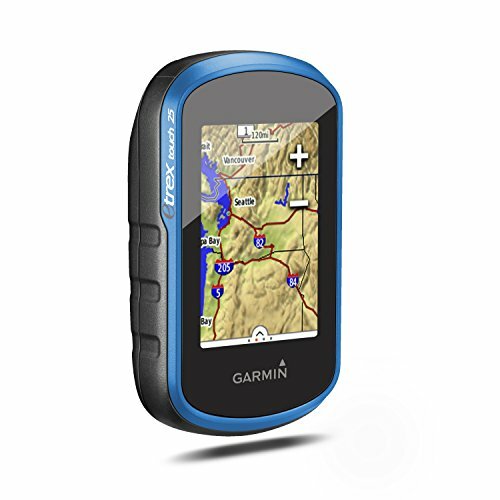 This rugged, dependable handheld features a highsensitivity, was-enabled dual gps and glonass receiver and hotfix satellite prediction to locate your position quickly and precisely and maintain it even in heavy cover and deep canyons. Etrex 25 comes preloaded with 250,000 geocaches from geocaching.com. A redesigned multi-activity menu puts information at your fingertips and this handheld features an array of compatible mounts for use on bicycles, boats and more, offering flexibility and functionality. Add a 3-axis tilt compensated electronic compass and you’re ready to go anywhere.